Does the idea of deploying robotic plants and animals in natural habitats to help save threatened species and reduce pollution make you feel better or worse about the state of the world? On the one hand, it’s kind of alarming that we’ve reached the point where we’re investing in bionic cockroaches and robot bees to make up for the destruction humans have unleashed upon the Earth. But on the other hand, recent advances in technology make it possible to explore, monitor and aid our environment in dazzling new ways, like using machine learning to predict the behavior of threatened species or interactive bio-tags to warn whales away from our ships. The ‘Augmented Nature’ project helmed by a team of designers and engineers at the Royal College of Art and Imperial College London aims to empower animals to thrive in their natural habitats and avoid threats of nearby humans. The team has developed two robotic bio-tags: one for the collard peccary, a type of pig that lives in the Amazon rainforest, and one for the humpback whale. In addition to passively gathering information on the animals, the tags actively aid them. 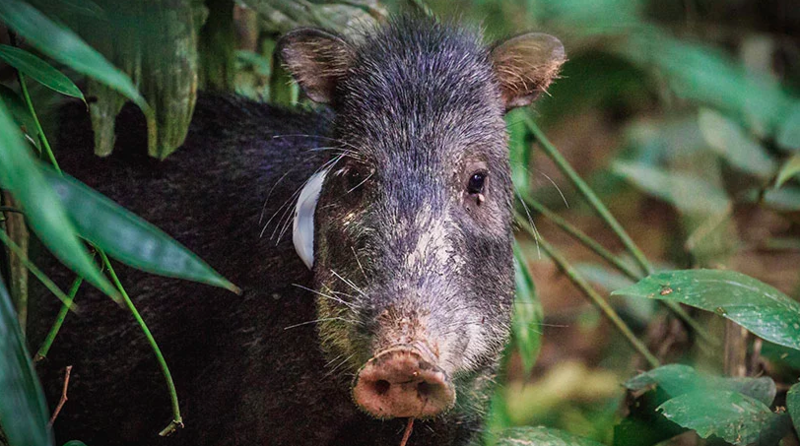 Using vibration, the bio-tags guide the peccaries to areas where they can dig wallows and disperse seeds, creating new habitats in safer areas away from destructive logging operations. Peccaries are crucial to both plant growth and amphibian habitats in the forest as they travel through the underbrush and roll in the mud. The oceans have changed dramatically for humpback whales in the last century thanks to ship activities, pollution and ocean acidification, putting them at risk of ship collisions and disorienting them with the sounds of engines and other human activities. But these whales are essential players in ocean health, carrying nutrients from the depths where they feed back up to the surface to nourish phytoplankton, the basis of the entire food web. The Augmented Nature whale bio-tag integrates an underwater speaker to actively communicate with tagged whales, using sound to inform them about the positions of nearby ships. 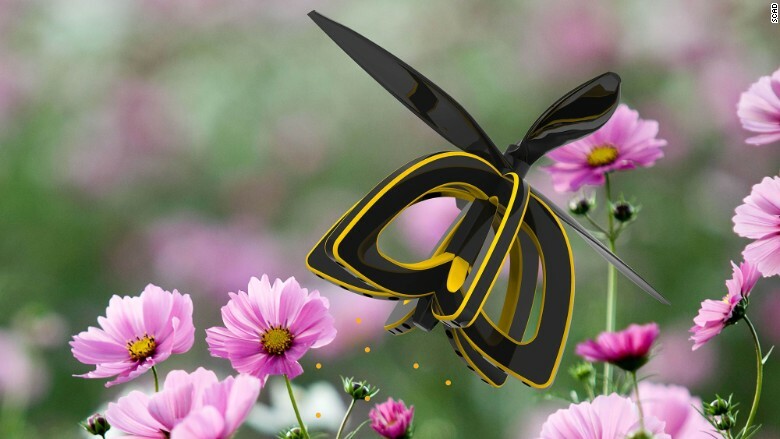 Could pollinating robots really make up for the fact that bees are dying? Many scientists are skeptical, but the situation is desperate enough to give it a shot. Bee populations are plummeting, and without them, our crops are in serious trouble. The United States lost 44 percent of all honeybee colonies in 2016, and other species are near mass extinction. 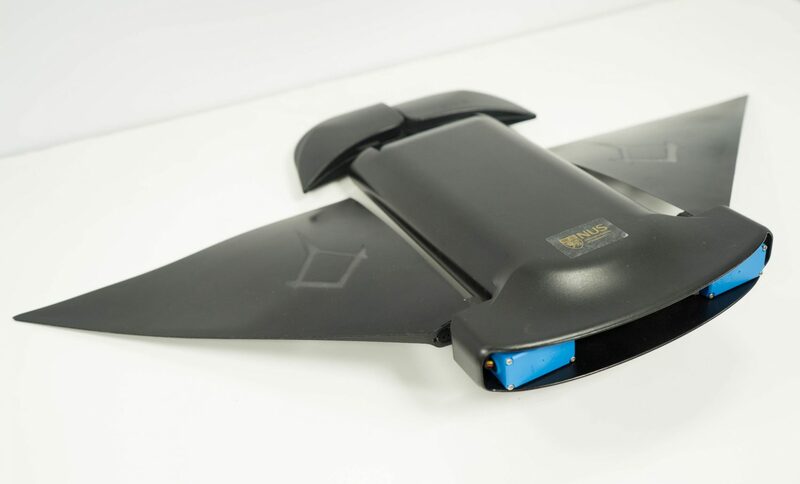 While it seems clear that we need to put a lot more effort into saving the living bees we still have, drones could help fill in the gaps in the meantime. 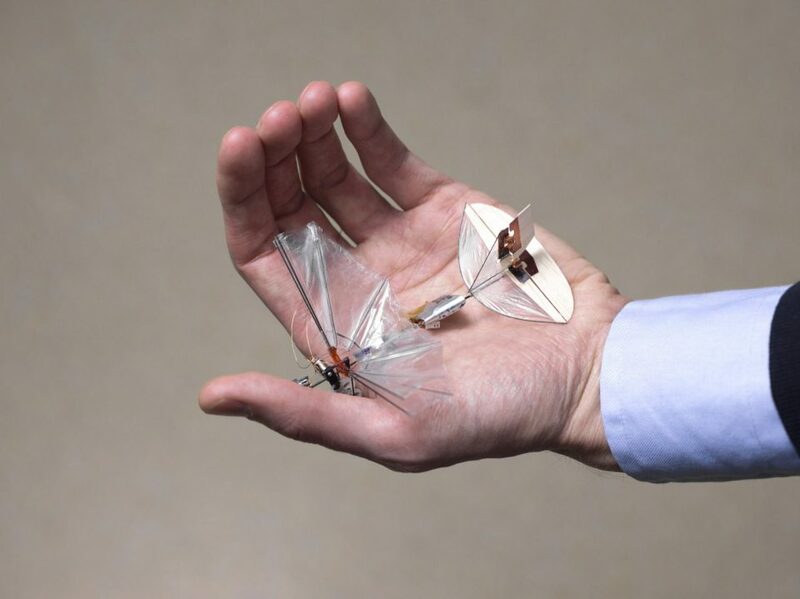 Pollinating robots are currently under development in a variety of forms, including insect-sized drones that use horse hairs coated with ionic liquid gel to mimic the biology of living bees, created by Eijiro Miyako, a researcher at Japan’s National Institute of Advanced Industrial Science and Technology. Others aim to look a little more like real bees. Surprisingly, even mega retailer Walmart is putting a hat in the game; Walmart filed a patent for autonomous robot bees in March 2018. A soft robotic fish named SoFi developed by MIT’s Computer Science and Artificial Intelligence Laboratory swims alongside real fish to capture close-up footage without disrupting or alarming them. 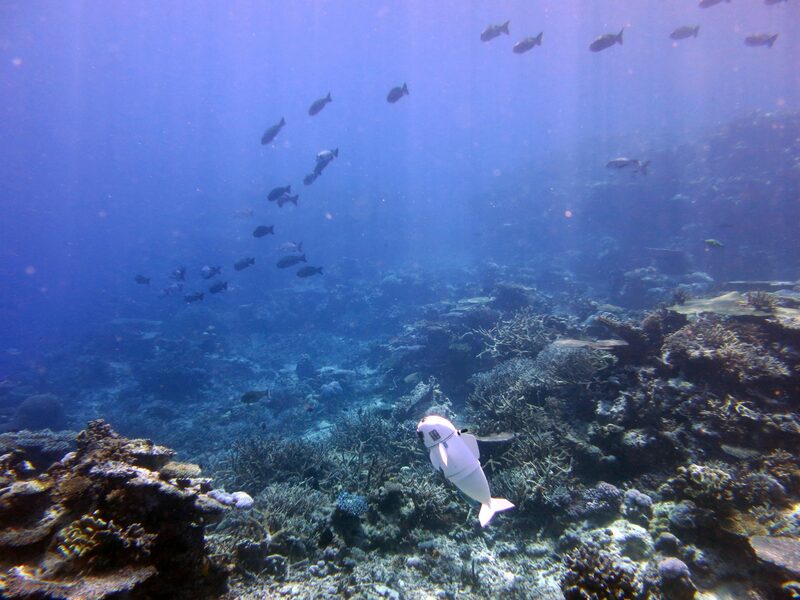 The robot has been tested at depths of more than 50 feet for up to 40 minutes in Fiji’s Rainbow Reef. 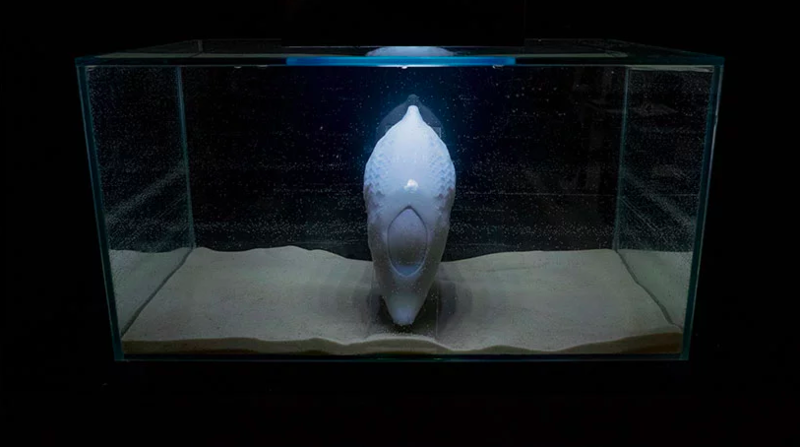 Its silicone body is based on those of real fish to give it a natural swimming pattern, and its buoyancy is controlled by an adjustable weight compartment and ‘buoyancy control unit’ that changes the fish’s density by compressing and decompressing air. The team uses a waterproofed Super Nintendo controller to steer it. It may not be quite as graceful as the real thing, but the MantaDroid by the National University of Singapore is pretty close to passing as its biological counterpart, at least from a distance. 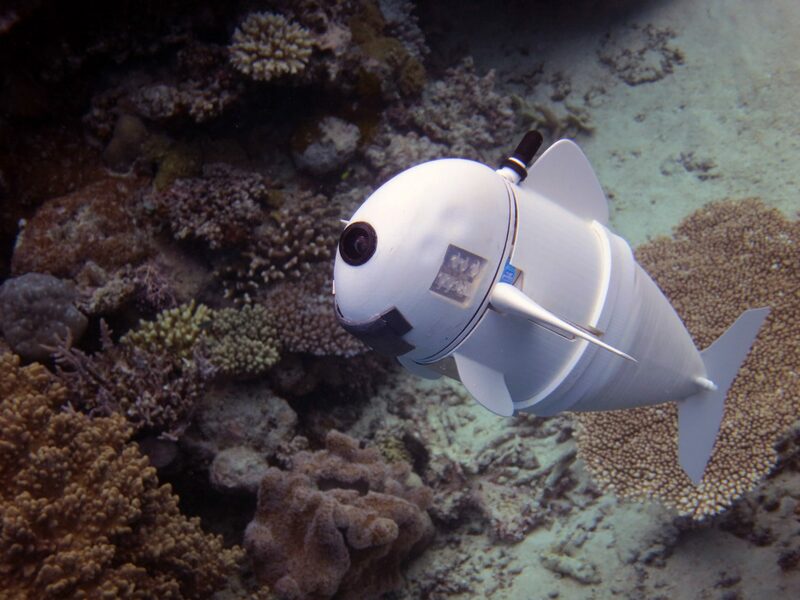 The droid is designed to aid in marine biodiversity studies – and also, unsurprisingly, to carry out underwater surveillance.